Material: Lace top, chiffon skirt with satin lining. We don’t have to add the bow if you don’t like it, please mention this when ordering. This style can be made in any other colours on our website. 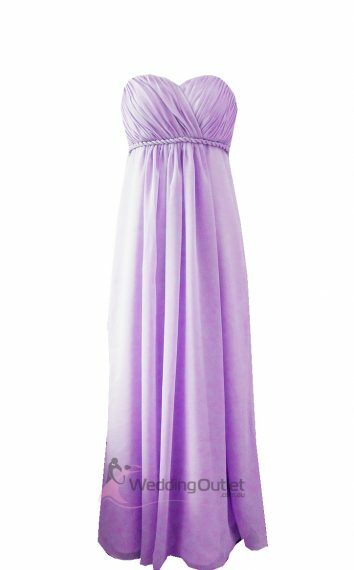 Colours: If you want this dress in a different colour, simply click on “select colour” and pick the colour you want made for this dress. 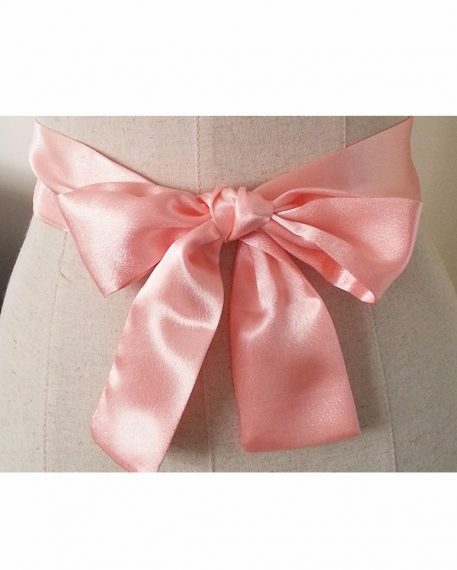 We will then make this dress in the colour you choose. 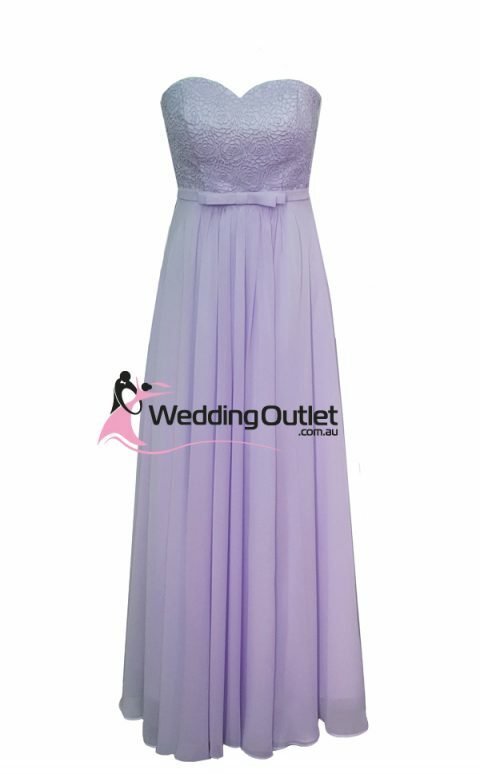 If you want to see what the colour looks like, simply browse through our bridesmaid category and you will find the relevant colour on a different design. Alternatively you can look at the image on the left for a small version of the colours we have. 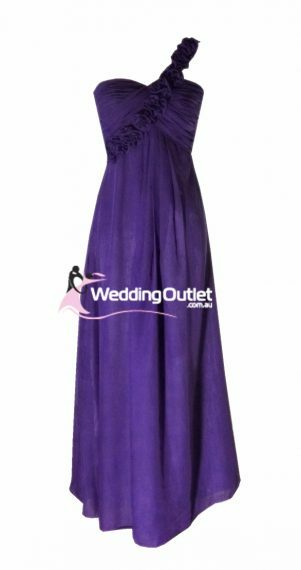 You can browse through them from here: weddingoutlet.com.au/category/bridesmaid-dresses/. You will then know what the colour will look like and we will make that colour into this style. Sizes: We also offer custom making to size for free. Simply select “custom made to measure” then write your measurements in your order OR send us an email with your measurements with your receipt after payment. You can send us measurements later when you are ready, that is fine with us. Here is a body measurement guide if you want to send us your body measurements. Please look at the Bridesmaid measurement chart. Prices: Our prices for sizes 14 onwards are $30 more because it requires more fabric to be purchased. Prices of these can be seen in “select size”. 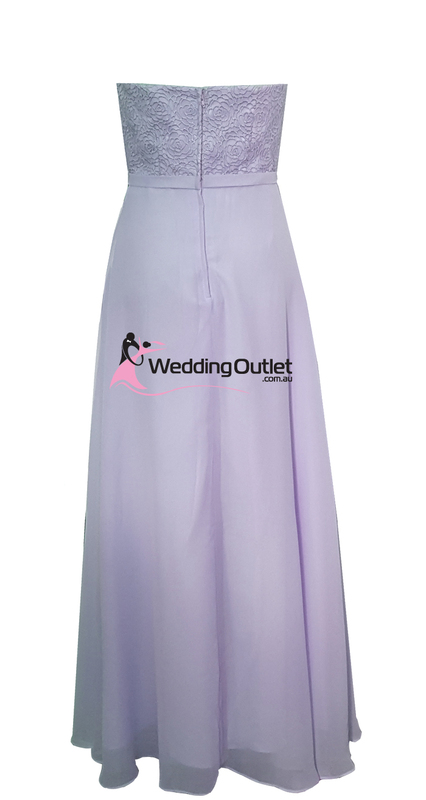 For convenience each dress comes with 5cm of extra material inside the dress. So if the dress doesn’t fit perfectly you can take it to a local tailor to be enlarged or taken in. Custom Colours: We can also custom make colours not on our website, simply email us a photo of the colour you want and we will reply back to you on other colours we have in stock. Ordering Separately: If the bridesmaids are all paying separately please mention this in your order. We need to know this to ensure the dresses get made from the same roll of fabric to ensure colour consistency across the bridal party. 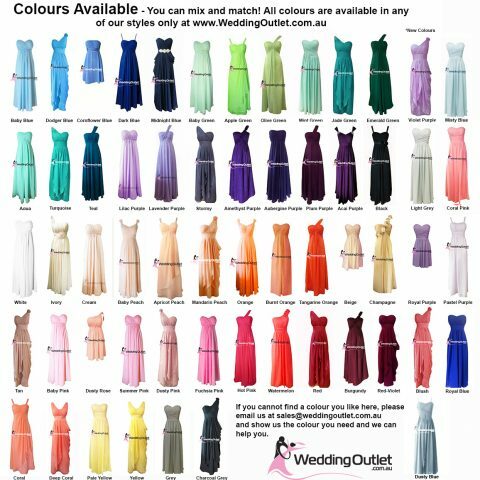 If you are ordering 1 dress as a trial to see if you like it, please understand that by the time you reorder the same colour 2 to 3 months later, there might be a chance that the colour tone might change a tiny bit. If you don’t want this to happen, then ordering together will ensure the colours are all the same. 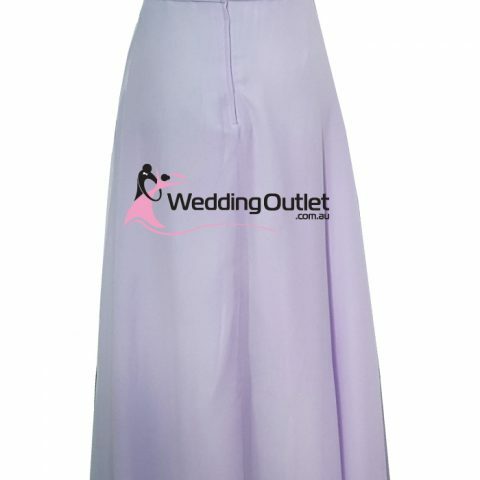 Changes to Dress: If you want us to change this dress in any way, such as to knee length; change or add sleeves etc. we can also do it, simply contact us directly for your special requests. 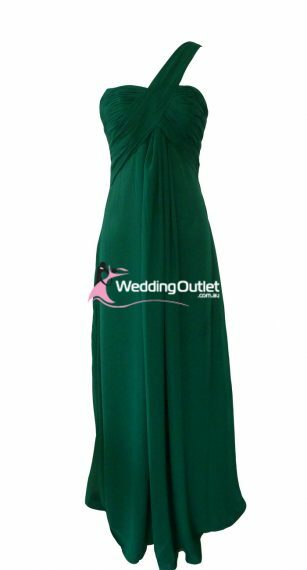 No special requests required, simply order this dress directly off our website. Any questions at all please contact us, we are here to help!